Home Travel Tips & News Travel inspiration Los Angeles or New York City? Los Angeles or New York City? East Coast, West Coast, which coast is the best coast? Whether you’re California dreamin’ or up all night in “the city that never sleeps,” allegiances to each of these iconic U.S. cities run deep. 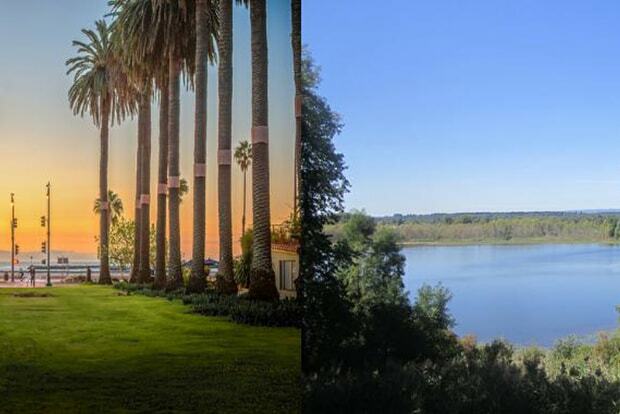 But which should you head to for a getaway — Los Angeles or New York City? We’ve compiled comparisons to help you choose the best city for you — and when you’re ready to book, we can help you find the best flight for you, as well. Flights to New York Or flights to Los Angeles? The entertainment capital of the world has majestic mountains and golden beaches to spare, along with museums, shopping and celeb spotting. With moderate temperatures and sun year-round, any day is a perfect day for soaking up the culture of the City of Angels. The city in southern California boasts 75 miles of coastline stretching from Malibu to Long Beach. The area includes Los Angeles proper, plus Los Angeles County, which includes popular places like Beverly Hills, Burbank, Santa Monica and West Hollywood. Average weather: August is the warmest month with an average high of 29 degrees Celsius and an average low of 18 degrees Celsius. January is the coolest month with an average high of 20 degrees Celsius and an average low of 9 degrees Celsius. Iconic Food: The French Dip sandwich, a hearty sandwich piled high with oven-roasted beef, pork, turkey or lamb served with or without cheese on a French roll and dipped in au jus. There are 2 restaurants who claim to have invented the messy sandwich: Philippe The Original and Cole’s. Do your research and take a taste test at both. Public transit options: Subway, light-rail, buses, shuttles and bike shares. Fares start at US$1.75. Iconic hotels: The Beverly Hills Hotel and the Beverly Wilshire, a Four Seasons Hotel. Where to shop: Rodeo Drive, which is home to 3 blocks of iconic luxury shopping. Beach: Venice Beach, the east side of the boardwalk is lined with souvenir shops and restaurants while the west side features street performers of every type: tarot card readers, chainsaw jugglers, roller skaters and more – all hoping for a tip, of course. Watch TV live: Be a part of the studio audience for your favourite TV shows or try your luck auditioning to be on popular game shows. You might find yourself on TV and going home with prizes. Tickets are free, but must be obtained in advance. 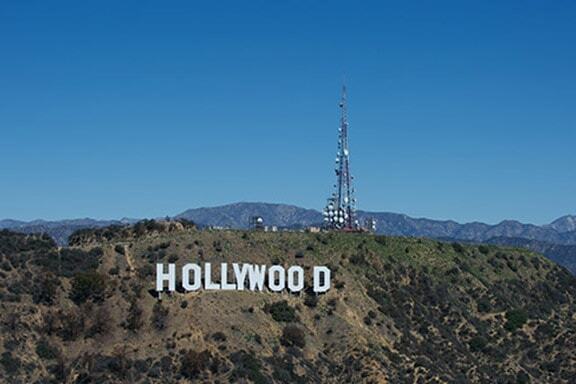 The Los Angeles Tourism & Convention Board offers tips for how to get on a game show. Best for: Sun worshippers, health enthusiasts and the celebrity obsessed. There’s lots to see and do in New York City, much of which is walkable (check out our guide to walking tours in New York City). The city spans 301 miles, and with 5 boroughs (Bronx, Brooklyn, Manhattan, Queens and Staten Island), the options can seem overwhelming. With limited time to explore the city, discover which part of the Big Apple you should visit first using our “Which NYC neighbourhood are you?” quiz. Average weather: July is the warmest month with an average high of 28 degrees Celsius and an average low of 20 degrees Celsius. January is the coolest month with an average high of 2 degrees Celsius and an average low of -5 degrees Celsius. Iconic Food: Pizza. For more than 50 years, pizza aficionados have lined up along Avenue J in Midwood, Brooklyn, for legendary pizza handmade by Dom DeMarco at Di Fara Pizza. Folks sometimes wait hours for a slice, but it’s worth it. Public transit options: Subway, trains, buses, ferry, helicopter and bike share. Fares start at US$2.75. Watch TV Live: Being part of a live studio audience is a fun and free way to see celebrities up close and possibly enjoy your 15 minutes of fame on television. Shows like “Last Week Tonight with John Oliver,” “Late Night with Seth Meyers,” “The Late Show with Stephen Colbert,” and “The Tonight Show Starring Jimmy Fallon” all film regularly and have free tickets on offer. While some shows give away tickets on the same days as taping, the chances of getting a seat are limited. It’s better to reserve tickets in advance and arrive early. “Good Morning America” and “The Today Show” don’t require tickets, making it easy to guarantee that you get to watch the magic of live television – provided you show up early. Best for: City slickers, shopaholics and dreamers. With the basics covered, let’s take a closer look at the rivalry and superlatives between Los Angeles and New York City. TCL Chinese Theatre: TCL Chinese Theatre’s forecourt has been one of the most popular free attractions since the 1920s, when actress Norma Talmadge accidentally stepped in wet cement during the premiere of Cecil B. DeMille’s “King of Kings.” Now, movie-goers from around the world compare their hands and feet to those of stars past and present and watch movies at the world’s most famous movie theater where VIP red carpet premieres are held throughout the year. Hollywood Walk of Fame: Since the 1960s, more than 2,482 terrazzo and brass stars have been unveiled on Hollywood’s major sidewalks as part of the Hollywood Walk of Fame. Administered by the Hollywood Chamber of Commerce, the public sidewalk that stretches along Hollywood Boulevard and Vine Street is a tribute to all who have worked to develop the city as a tourist attraction. The best way to see your favourite celebrities up close and personal is to check out the Hollywood Walk of Fame star-dedication ceremonies. 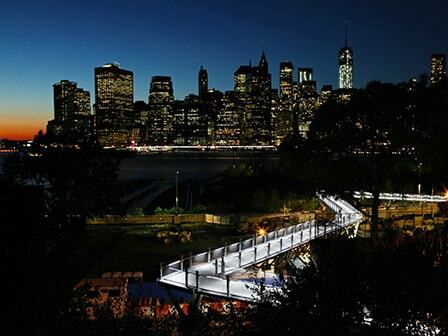 One to 2 stars are added each month and their installations are free and open to the public. Universal Studios Hollywood: See the magic of movie making at Universal Studios Hollywood. The theme park features its famous studio tour, King Kong 360 3-D and a range of rides like The Wizarding World of Harry Potter. There’s a reason why the Big Apple is described as “the city that never sleeps.” Here’s a trifecta of must-see attractions. 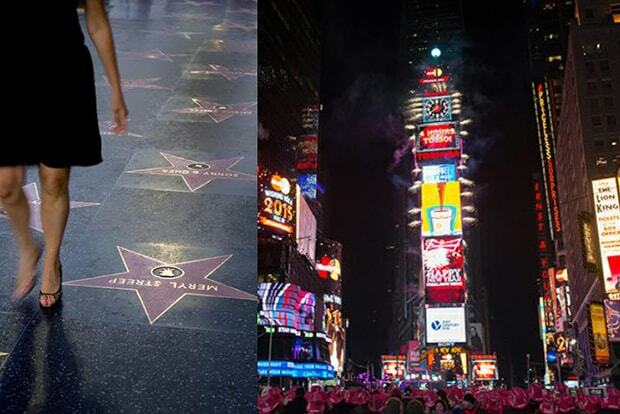 Times Square: “The Crossroads of the World,” is a must-see during a trip to the Big Apple. Named after “The New York Times” whose One Times Square address was the newspaper’s headquarters from 1904 to 1913, Times Square is busting with attractions 24/7. Sit on the giant red staircase or pull up a seat in one of the pedestrian zones, the perfect perches for people watching. If you time your visit right – 11:57 p.m. nightly to be exact – you’ll be treated to “Midnight Moment,” an art display in which more than 15 screens simultaneously shut off their advertisements and display a coordinated work of digital art until the clock strikes midnight. Empire State Building: Visit the 86th and 102nd floors of the iconic Empire State Building. Named after New York state’s nickname “Empire State,” the building supports delivery of broadcasting signals to cable and satellite systems and television and radio receivers. The building’s spire is adorned with ever-changing neon light colors (see what color the lights will be tonight). New York may boast 77 restaurants with Michelin stars (Michelin does not award stars in Los Angeles), but both cities have some of the best culinary scenes in the country, particularly casual comfort food. Deli: Considered L.A.’s best deli since 1931, Canter’s is a family-owned Jewish deli that started as a small storefront and has now expanded to a bakery, deli and cocktail lounge. Hamburgers: Harry Snyder opened the first In-N-Out Burger stand in 1948 in Baldwin Park, CA, a city in Los Angeles County. It was California’s first drive-thru hamburger stand. The fast-food chain has a celebrity cult following and now serves its famous burgers, fries and shakes at 300 restaurants in 5 states. Hot Dogs: A Hollywood legend began when husband-and-wife Paul and Betty Pink took out a $50 loan to buy a hot dog cart to sell chili dogs on the corner of La Brea and Melrose in 1939. Some 75 years later, the hot dog stand, Pink’s Hot Dogs, is run by the same family and has a celebrity following who crave the 30 types of hot dogs on the menu. Deli: Established in 1888, Katz Delicatessen is an institution in the Lower East Side (and there’s an outpost at Dekalb Market Hall in Brooklyn). 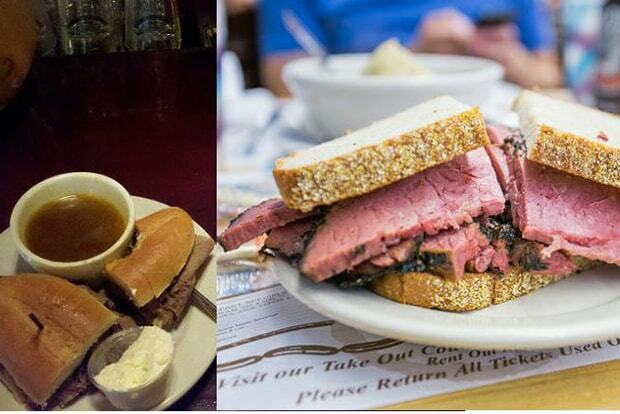 While it’s tradition to eat franks and beans, a pastrami on rye or a corned beef sandwich, are also famous options. Hamburgers: Danny Meyer’s Shake Shack began as a summertime hot dog cart but has evolved into a popular hamburger chains in New York. The signature Shack Burger, crinkle-cut fries and custard shakes are comfort foods that fuel many New Yorkers day and night. Hot Dogs: Nathan’s Famous Hot Dogs has been in business since 1916 at the intersection of Surf Avenue and Stillwell Avenue in Coney Island. It’s also where competitive eaters scarf down hot dogs to win fame and a mustard-yellow belt at the Nathan’s Famous Fourth of July International Hot Dog Eating Contest each July 4th. 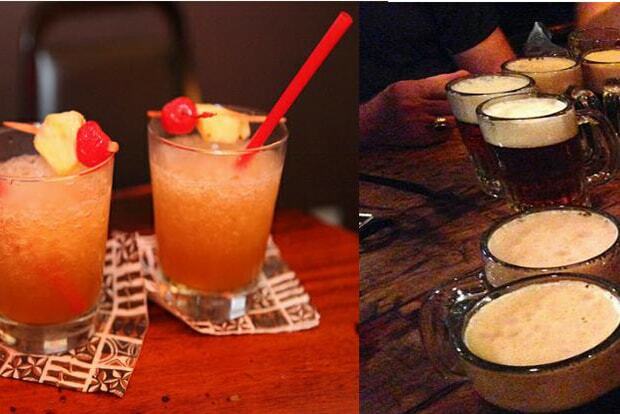 From the tiki drinks at the family-owned and –operated Tiki-Ti on Sunset Boulevard to The Varnish, a vintage bar at the back of Cole’s French Dip, there are countless options for cocktails, beer and wine. Without even scraping the surface of the bars on offer in NYC, enjoy classic and craft cocktails at Pouring Ribbons or Please Don’t Tell. a cozy bar accessible via a phone booth nestled within a hot dog restaurant, or enjoy a casual pint at the well-worn Irish pub McSorley’s Old Ale House, New York’s oldest continuously operating bar, which opened in 1854 and only serves beer. 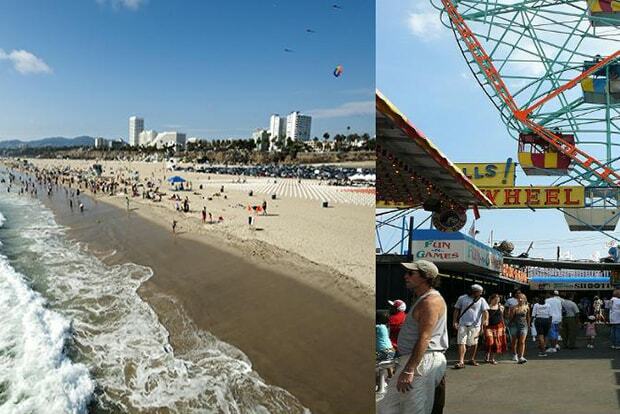 The century-old Santa Monica Pier is a legendary landmark renowned for its boardwalk fun that includes an amusement park, arcade, funky shops, beachfront restaurants and bars – all worth a visit and fun for all ages. Coney Island has been a summertime destination for more than a century. From strolling the boardwalk to taking a ride on the Wonder Wheel to the Coney Island Circus Sideshow, there’s no place quite like it. Chateau Marmont is a must for people watching. The city’s farmers markets and Rodeo Drive are also prime spots for celeb spotting. You also never know who you may see passing by if you fly into or out of LAX. The lobbies and sidewalks in front of swanky hotels like the Mandarin Oriental, New York and The Ritz-Carlton New York, Central Park are often filled with celebs as are restaurants like Nobu, Tao, Serendipity 3 and Katz’s Delicatessen. Public spaces like Central Park and Fifth Avenue also offer up some great (famous) people watching. Why not extend your vacay and see more than one destination for significantly less than taking 2 separate trip? Both LA and NYC offer easy opportunities for BOGO vacations. New York + Saratoga Springs: Whether you prefer taking in a Broadway show, dining at Michelin-starred restaurants and sipping craft cocktails at opulent city bars, or would rather stroll Central Park and explore The Met before shopping in SoHo, there’s something for every style in NYC. Contrast the hustle and bustle of the Big Apple with a 3-hour drive north to Saratoga Springs, NY. The picturesque countryside is also populated with farmers markets, breweries, museums and parks. Make sure to leave time for a relaxing dip in the hot springs at Roosevelt Baths & Spa within Saratoga Spa State Park. If you prefer to head to the beach or try your luck at the casino, you may want to consider the 3-hour drive to Atlantic City, NJ, instead. So, which should you choose? 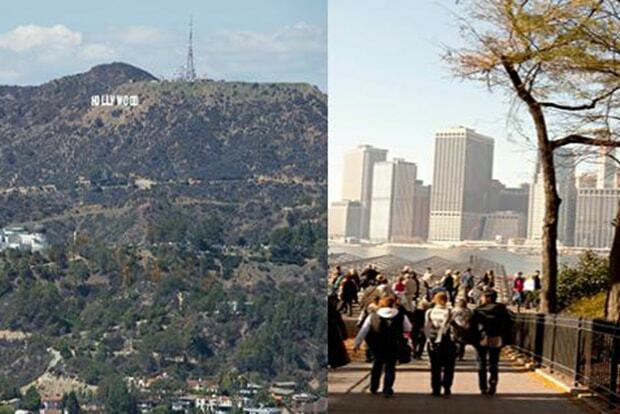 Both Los Angeles and New York City possess charm and character all their own, and we can’t choose just one. But that doesn’t mean you can’t. Let us know which coast is best below, and start planning that next city adventure at Cheapflights.ca. Which city is up to you.